The JEE Main Exam pattern remains the same every year. There are two papers Paper 1 and Paper 2. Through paper 1, admissions to B.Tech courses are done whereas through paper 2, admissions to B.Arch courses are done. The equal weightage is being given to all the three subjects viz. Physics, Chemistry and Mathematics in Paper 1. 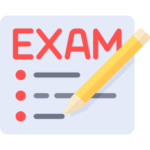 The mode of examination can be either offline or online depending upon your choice. The medium of language for the exam can be either Hindi or English in all centre cities. But in cities belonging to states like Gujarat and Maharashtra medium can be Gujarati and Marathi respectively. The overall time of examination is 3 hours and candidates are expected to attempt 120 questions in 180 minutes i.e 1.5 minute/question has to be given to each question. Total marks can be scored in JEE Main are 360 (120 each subject). To read more about the JEE Main Exam pattern continue reading this article. If you wish to appear for the Engineering entrance exam select Paper-1, which is available in both online and offline modes. If you wish to appear for the Architecture exam, select Paper-2, which is available only in the offline mode. If you are interested in both engineering and architecture examinations you can select both. It consists of 90 questions. The maximum marks are 360. The examination is divided into 3 sections viz. Physics, Chemistry and Mathematics, having 30 questions each. The examination consists of 3 parts viz. Part 1,Part 2 and Part 3. Part 1: It has 30 questions of Mathematics, each awarding 4 marks. Part 2: It is an Aptitude test, having 50 questions, each awarding 4 marks. Part 3: It consists of 2 questions carrying 70 marks each to be attempted on separate drawing sheets. Duration of the JEE Main Paper 1 is 3 hours (180 minutes). Duration of the JEE Main Paper 2 is 3 hours (180 minutes). All the three sections in Paper 1 viz. Physics, Chemistry and Mathematics will have objective type questions with equal weigtage. In Paper 2, Part 1 and Part 2 will have objective type questions and Part 3 will have question to test drawing aptitude. It will have 30 questions for each subject, thus 90 questions, with 4 marks each, making a grand total of 360 marks. Part 1: It has 30 questions of Mathematics, with 4 marks each. Part 2: It is an Aptitude test, having 50 questions, with 4 marks each. Objective type questions in JEE Main will have multiple choice questions, having 4 options each and only 1 correct answer. 4 marks would be awarded for every correct answer. 1/4th mark will be deducted for an incorrect response. No marks would be deducted for un-attempted questions. You can appear for the JEE Main examination in English, Hindi, other languages (depending upon your exam centre location) and languages made available by the CBSC. You must check your JEE Main Admit Card carefully for your Name, Paper, Date of Birth, Gender, Test Centre Name, City, State Code of Eligibility and Category. In case you find any discrepancy, you should immediately communicate to JEE Main 2018 Secretariat for the necessary action. JEE Main 2018 Admit Card is issued provisionally subject to your satisfying the eligibility conditions. You are not allowed to leave your seat or examination hall until the full duration of the paper, unless you have the special permission of the Centre Superintendent or the Invigilator concerned. You will not be allowed to carry any baggage inside the Examination Centre. JEE Apex Board will not be responsible for any belongings stolen or lost at the premises. You are not allowed to carry any textual material, Calculators, Docu Pen, Slide Rules, Log Tables, Electronic Watches with facilities of calculator, printed or written material, bits of papers, mobile phone, pager or any other device, except your Admit Card, identity proof, document as required under point no. 7, inside the Examination Room/Hall. If you are in possession of any of the above items, your candidature will be treated as unfair means and your current examination will be cancelled & you will also be debarred for future examination(s) & the equipment will be seized. Smoking and eating is strictly prohibited in the examination hall. Tea, coffee, cold drinks or snacks are not allowed to be taken into the examination hall during the examination. You should not leave the examination hall without handing over their Answer Sheets to the invigilators on duty. The portion is humongous. The JEE Main Exam pattern is completely unpredictable and the cut-offs can reach heights. The acceptance rate is quite low at the IITs, thus lakhs of people take the exam but barely a few make it.